Interactive kids corner in a nowadays groceries store. The idea of Sklizeno in Bratislava is not only about purchasing quality food and groceries, but also about creating a community, friendship and a place where everybody is welcomed and could feel comfortable. Mladý pes was there when it all has started, admitting a special part in helping to build up this interesting ‘pit’ of little joys. I am sure that many of you can imagine that challenging feeling when you assign a unique project. We at Mladý pes felt like this when we had started to work on an interactive corner for kids in Ozajstné Jedlo – Sklizeno. A compact, modern, colorful and cozy place in the very center of our capital. This concept have been created with heart and soul in Czech Republic and after few years brought to Bratislava. We were very pleased when its owner, Jana Palenčárová, had asked us for a closer collaboration. Yay! Yes, we are talking about 3 mini video games for kids developed by Mladý pes. The first time you had a chance to try out what they are all about was on an opening event in 13th of January 2016. The plan was simple – to amuse and attract our youngest, while their parents would be left to pace up and down among shelves peacefully. We were very happy that our friend designer Janka Malaktincová helped us with this tast. She personalized the games with a witty and unique look :). The idea about what the games contents should be about comes right from Sklizeno shop. It is either that you fight against bad worms and flies which are attempting to eat your juicy apple. 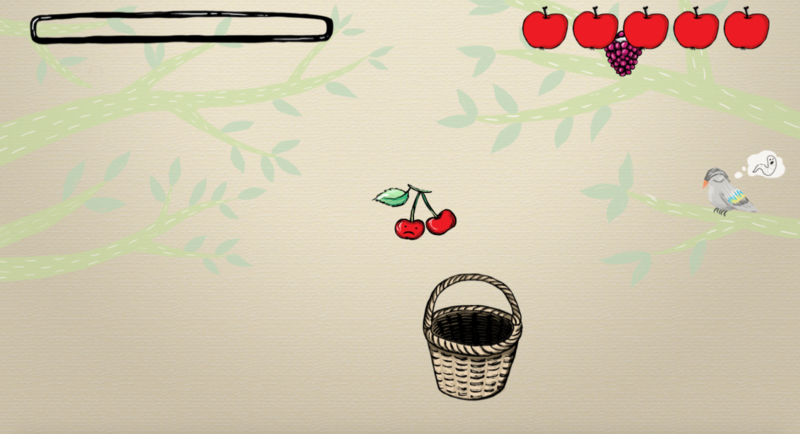 You can also harvesting fruit and vegetables into the basket. 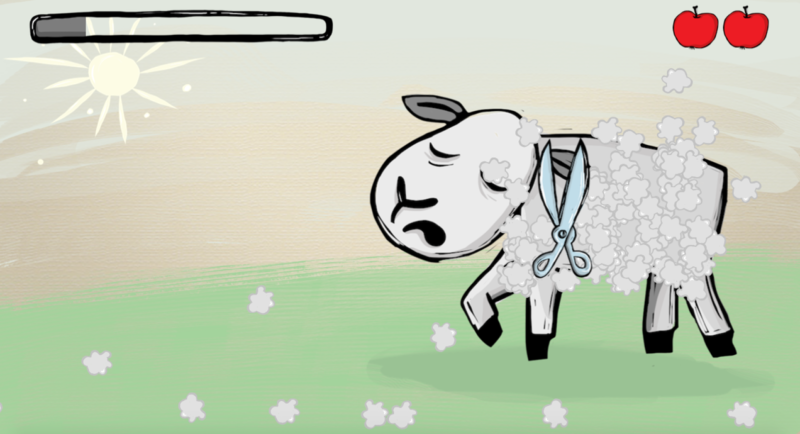 And at the end you are getting rid of sheep´s overgrown wool. For these 3 interactive games we have used a leap motion platform. It means you can simply control them by movements of your hand.